At only 24 years old, Daniel Zirilli founded Popart Film Factory after graduating from Pepperdine University in Malibu. He his either directed, produced or written over 50 feature films, 250 music videos as well as documentaries. In 2018 Zirilli wrapped two back to back action film. On the first film, Invincible (2019) he is director, producer and co-writer. Invincible (2018) stars Johnny Strong, Marko Zaror, Sally Kirkland, Michael Pare and Vladimir Kulich. The second film is Hollow Point (2019) and Daniel is director and co-writer with the ensemble cast of Luke Goss, Jay Mohr, Michael Pare, Juju Chan, Bill Duke, Kirk Fox, and Roger G. Smith. Daniel Zirilli was the producer of the theatrical feature film about the early days of Guns N’ Roses- “It’s So Easy and Other Lies” based on the book by Duff McKagan, and is producing a documentary based on “The Grapes Of Wrath” by legendary author John Steinbeck, featuring James Franco. Two of Daniel Zirilli’s action films can be seen on NETFLIX. 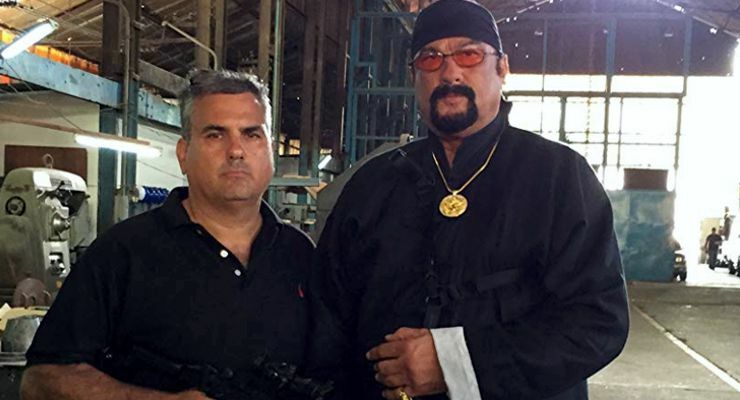 The first, The Asian Connection (2016), whose story was co-written by Daniel Zirilli and Tom Sizemore, and stars Steven Seagal and Michael Jai White, and the second, Crossing Point (2016), starring Jacob Vargas, Rudy Youngblood, Luke Goss, and Tom Sizemore. Zirilli has written or co-written 20 feature films that have been produced and directed projects for Michael Jackson through Jackson’s Moonwalker Entertainment. He also produced the film and video for The Rolling Stones “Voodoo Lounge”. Daniel Zirilli previously directed and/or produced a slate of four films for Lionsgate films/Grindstone – and has put close to 100 feature films into worldwide distribution representing other filmmakers. 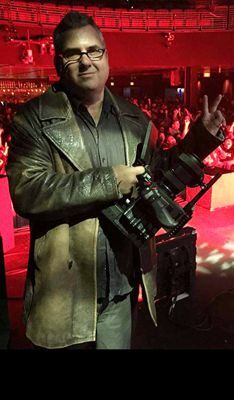 In Music Videos, Daniel Zirilli worked his way up in the business with artists such as NWA, Cher and Danzig, then directed/produced over 250 Music Videos, with some going to #1 on MTV and BET, with more than 25 singles that reached beyond gold or platinum sales (1 million units RIAA) for artists including Three 6 Mafia, Dvbbs, Redman, Cypress Hill, Shaq, Scarface, Montel Jordan, Master P, Twista, Chayanne, Freddie Jackson, Roger Troutman Jr., Gerald Levert, Bobby Womack, Bokeem Woodbine, Peter Himmelman, Flea, Domino, Supercat, Wilton Felder, Najee, and other Grammy Award Winning Artists. Zirilli also produced music videos for Russell Simmons film “The Show” for Def Jam, Michael Nesmith (of The Monkees) and many other legendary recording artists. Daniel Zirilli’s Public Service Announcements include projects commissioned by the Earth Communication Office (E.C.O. ), Earth Summit, Save our Skies (S.O.S. ), and The Garden Project L.A. (in association with Disney) which have featured socially conscious celebrities such as Mark Hamill, Pierce Brosnan, Olivia Newton-John, Ed Begley Jr., Herbie Hancock, Bob Saget, Rita Coolidge, Richard Mull, Jane Seymour and the Late John Ritter, among many others. 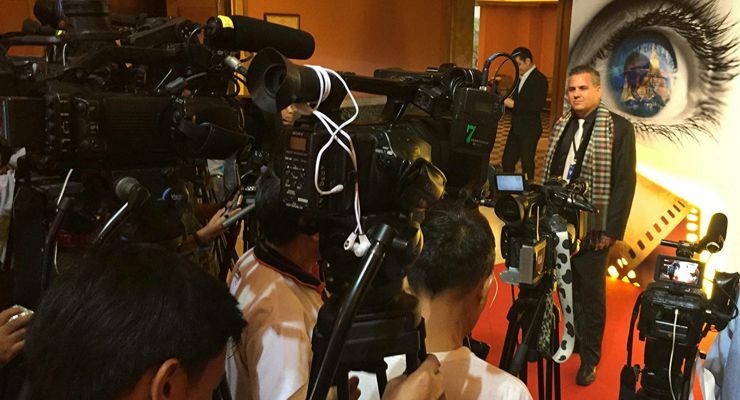 Director Daniel Zirilli at the Thailand Film Destination Festival 2016. Daniel Zirilli has won numerous awards as director/producer, and has lectured on directing and producing at film festivals, seminars and UCLA extension/film school. He holds a Bachelor of Arts in Speech Communication and a Minor in Creative Writing from Pepperdine University, Malibu, California.